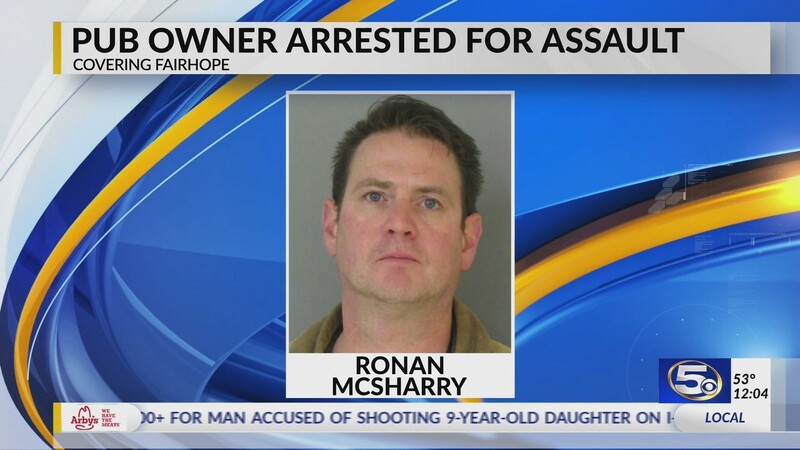 FAIRHOPE, Ala. (WKRG) — Fairhope police say Ronan McSharry was arrested for an assault charge stemming from an incident on November 22rd. What is not being discussed is the well known fact that Mr McSharry has a long list of domestic incidents and assault charges at his bar. In 2010 he allegedly assaulted his wife during divorce settlement procedures. She, till this day, suffers from those injuries. His drinking and violent temper is well known among McSharry fans. The Fairhope Police, Municipal Judge and City Attorney have known of this since 2010. Mayor Kant was well aware of the problems of McSharry, he remained silent. McSharry’s past girlfriend had her scalp torn out by McSharry. She regrets the day that she met him. Then there is the case of councilman Jack Burrell and McSharry causing quite a drunken scene one night. Burrell ended up getting thrown out of the bar and promising McSharry , he would shut him down. The President of the Council lost his head and he and McSharry deiced they were both drunk and would kiss and makeup. Jack told him he could stay in business. McSharry, to make amends, went a step further and added a J. Burrell sandwich to his menu. I would not recommend it. Next incident, # 5, this year, involved the artist Nall who has an art studio across the street from McSharry. Long story short, McSharry stumbles into Nall’s business drunk and incoherent. He threatens Nall, knocks over some displays and is dragged out of the building. After several postponements of the court date and other delays the case finally is heard on appeal. McSharry was placed on probation, he still is on probation and was warned by the court to adhere to the probation conditions. This is his 5th “recorded” incident. It is rumored he paid his way out of several other incidents. Mr. McSharry knocked a 5 foot 1 inch woman off a bar stool last Thursday night. She is the bartender for the American Legion Tiki Bar, who was a customer at McSharry’s that night. She went to the hospital and was diagnosed with a concussion. I hope the hell she contacts the ABC Board and hires a good attorney, who will knock McSharry off his bar stool. Ask yourself the question, How can a business owner serving alcohol continue to buy his way out of trouble? Mr McSharry will now hire an attorney who will take every delay possible before going to trial, all the while painting McSharry as a poor soul with a drinking problem. McSharry will go into rehab, find God, repent and be back in business. The Fairhope Police should notify the ABC Board and City Council immediately. The “at large” council that represents us all, continues to ignore the serious problem at McSharry’s. Please warn customers that their safety at McSharry,s, is at risk. Here is another example of being knocked off a bar stool. This time the whole state is affected. Please read carefully the article and think of all the implications, quid pro quo’s, dark money and in your face corruption, that originated in the Governor’s office and trickled down through the ranks. Political positions passed out, like candy on Halloween, to cover up crimes of the past administration. Where are the checks and balances? How do we hold elected officials accountable when those charged with that task appear to be equally corrupt? 2019 looks like Alabama may become even more corrupt. That is what you can expect when 65%, of the 33% voting, vote a “Blind Vote” or straight ticket vote. Alabama is number 1 in political corruption. This is costing every citizen in the state, however most are blind or indifferent to the loss of tax dollars associated with political corruption. Ripp these are Christian Republicans. Gridlock on 98 is here!!!!!!!! 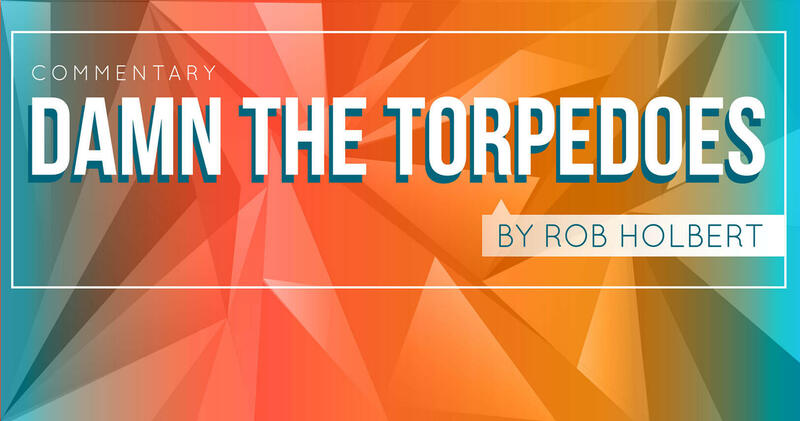 Ripp why do you continue this wretched blog? You need a new hobby. The Burrell Burger is actually quite good. Which claims? He lies constantly. He says Robert Brown gets city contracts! This is FALSE. Brown is a veteran who served! So why aren’t they suing Ripp instead of the other way around? You are wrong about Brown. Art center contract. He handled the bid and gave it to himself! Most veterans are admirable but he has everyone fooled. Jack and Ronan have a lot in common. Protection from a corrupt city attorney, corrupt former chief (not sure about the new one yet), and corrupt judge. Both hate women and love control. Don’t forget they are both drunks as well!!! Little men! Ripp did win his latest lawsuit but it was chump change. This is a lie Ripp won the lawsuit my arse!!! Is not only sad, but digusting . The councilman is a leader of this community and should act like it. He should reimburse the city coffers instead of robbing them. We must really clean house next election. Who is running in two more years? Campaign Chairman Jennifer Fidler. Sherry will win by a landslide over Krazy Karin.